Anyone here experienced with Leupold rangefinders? The only ones I have owned and used were Bushnell, so I don't really have anything else to compare to. I found the camo version on sale for less than $330.00. I bought a Leupold RX-III many years back and like it. I've used it for hunting and while touring battlefields. I like the True Ballistic Range feature. 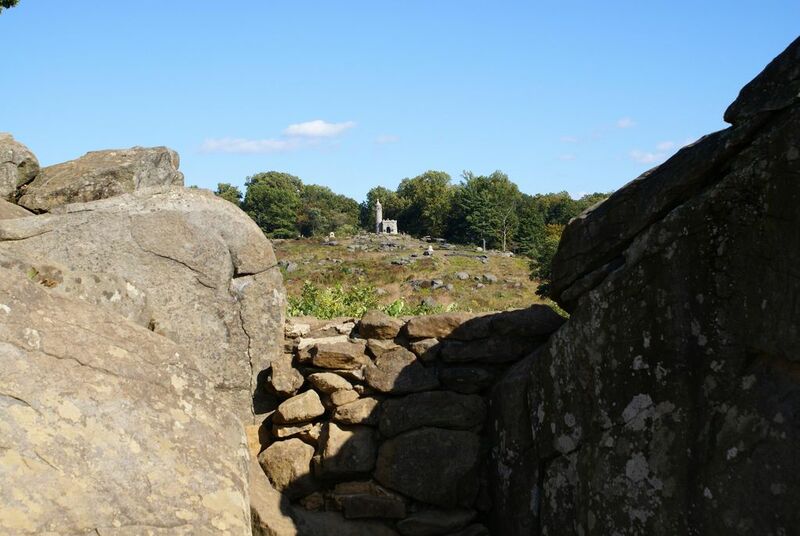 By the way, it was 557 yards from the "sniper's den" on Devils Den to the 44th NY monument on Little Round Top at Gettysburg. very informative writeup there Pumpkin. we just got home from nig weekend on the open tops where we saw a good number of animals,knowing the distance instead of just "guestimating"would have been very good and we would probably have shot a reasonable stag on saturday evening instead of leaving him to sunday morning only to find he had moved away..
Take a look at the Sig Kilo 2000. That thing is pretty cool. Sniper Central had nothing but good to say about it. Thanks for suggesting a "look" at it. Any idea how long Sig has been building rangefinders? I don't know how long Sig has been doing it. I have the Sig Kilo 2000. The price was good and it's FAST. The furthest I've ranged something is 800 yards; no problem with that or even with trees when it's getting dark. The range finders on offer nowadays are awesome with very good ranging for a long distance. I cannot see and usually do not shoot beyond 500 meters so I bought a Taurus brand from local ALDI store a while ago. Cheap $150 800 meters range finder made in China. A local store has the Sig Kilo in stock and just this afternoon put it on sale for $399. I played around with it in the store for a while and was impressed. This thing is FAST. I'm used to a delay while the unit goes through it's calculations, but @ something like 4 updates/second, there are no delays. The display is amazing too. As mentioned earlier, I've only owned and used Bushnell's in the past. My current unit is a Scout 1000 which I believe has a LCD display vs the LED displays I'm seeing in the newer models. I've always had trouble using it in low light levels since the display is dark. I didn't look through the Leupold unit the other day, but plan to get back there some time this week. You can probably get it for less than $399. I paid $375 and after I bought mine, I saw one for about $350. Check amazon.com, eBay, gunbroker.com, snipershide.com, etc. Just got the new Cabelas sales flyer !!! I have the Leupold 1000 TBR. Battery life has been great. Ranges out to 600 yards pretty reliably. Longer depending on the reflectivity. I like the illuminated reticle but there is no black etch in the background so if you turn it up to see in bright day light it is too bright to use at dawn or dusk. I have learned to just run it on the low brightness setting. I can still make out the center mark, even on a bright day, but if the readout isn't bright enough, I just tilt the unit toward the ground and its clearly readable. I don't hunt without it. That's one of the nice features of Sig unit. The display brightness can be set manually but it also can be set to adjust automatically based on ambient light levels. Just looked at the add again !!! This probably/might be for in store purchases only. Hopefully you have one nearby to take advantage of the sale. Sorry if I've created any confusion.